* Beginner paddlers are encouraged to use Basswood, Oak, Stockton, Madeline, Long and Hermit Island. These islands are protected and offer a safer paddling experience. Paddlers with experience can utilize Sand, York, Raspberry, Bear, Otter, Rocky, Ironwood and Manitou Island. These islands are more exposed and require that you can paddle in 3 foot waves. We only allow expert paddlers to plan rental inteneraries that travel to Devil’s, South Twin, Cat, Outer and Michigan Island. North Twin and Eagle Island are off limits due to NPS restrictions. *Sea Caves can be found at the following locations and are listed from most impressive to least; Devil’s Island, Sand Island, Meyers Beach, Romans Point, Stockton Island, Outer Island, Ironwood Island, Cat Island, Bear Island, Madeline Island, Houghton Point and Red Cliff (1 cave at Red Cliff). You can expect crowds at Meyers Beach. The other sea cave locations you will have mostly to yourself. You will need waves of 1.5 foot or less to enter the sea caves. *We suggest a maximum of 10 miles of paddling per day for sea kayaks and a maximum of 6 miles per day for sit on top kayaks. * all multi-day sea kayak rentals are required to bring their own or rent from us a handheld waterproof VHF radio (1 per group). * Sit on Top Kayak Rental. Free safety course provided. You must be able to do a T-rescue, wet exit &re-entry to be able to rent sea kayaks for island crossings. 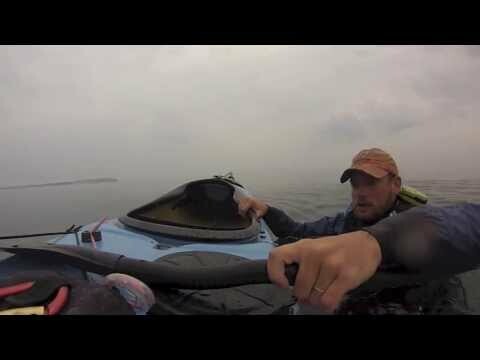 (illustrated in the 3 videos at the bottom of this page) If you do not know how to do these sea kayak skills we have a safety course available for $25. 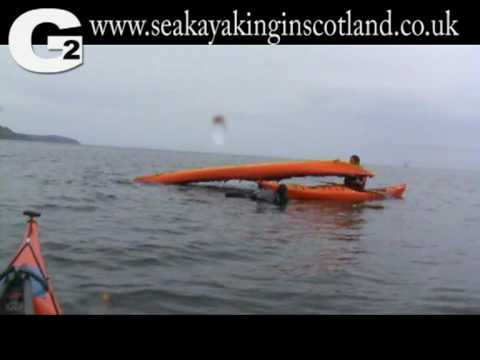 We are quite strict about our guidelines for renting sea kayaks for island crossings. 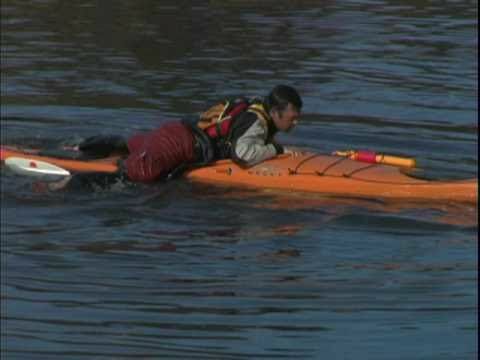 If you plan on taking the sea kayak safety course, you must still pass the skills in the safety test to be able to rent a sea kayak for island crossings. Includes — boat, paddle, life jacket, spray skirt, paddle float & pump. *You must bring your own fully charged cell phone. Verizon has the best service. If you are traveling to the exterior Islands a VHF radio or ham radio is highly encouraged. * If you are planning an overnight rental you can only launch at Cornucopia, Little Sand Bay, Bayfield or Legendary Waters Casino (Casino costs money to park and launch), as these are the only places to park a car overnight. 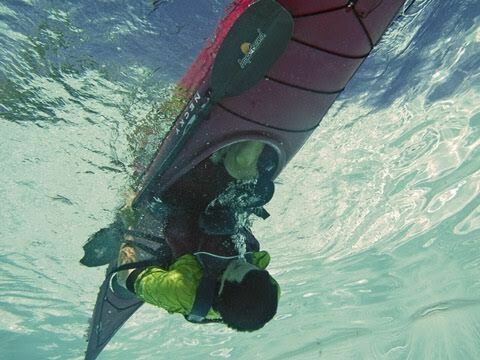 * Sea Kayak Training for overnight rentals takes place at the location of the delivery.